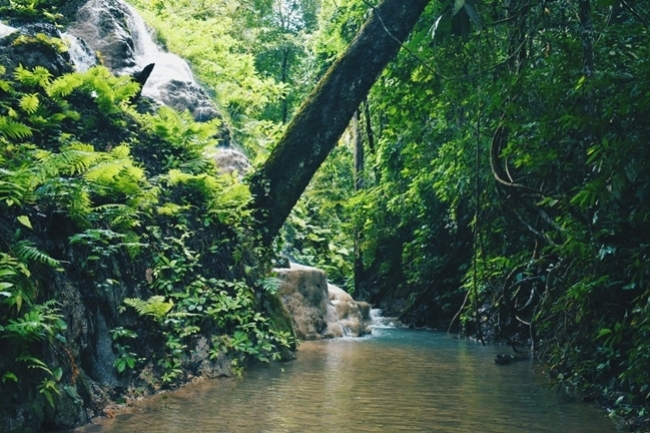 ONE DAY STICKY WATERFALL + GRAND LOCAL TEMPLE + ELEPHANT SANCTUARY TOUR. 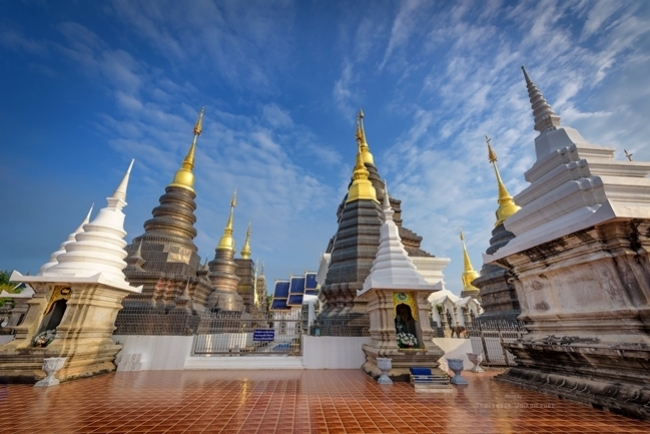 Visit Ethical Lanna Kingdom Elephant Sanctuary ( no riding ), Lunch with Thai Home made food, Hiking at Bua Tong Sticky Waterfalls and visiting THE Grand local temple called Wat Ban Den. 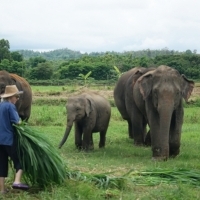 8.00 : Pick you up from your hotel and drive to our Lanna Kingdom Elephant Sanctuary. - You will then feed and have the opportunity to take amazing videos and photographs of the Elephants. - Hug and Love the Elephants. 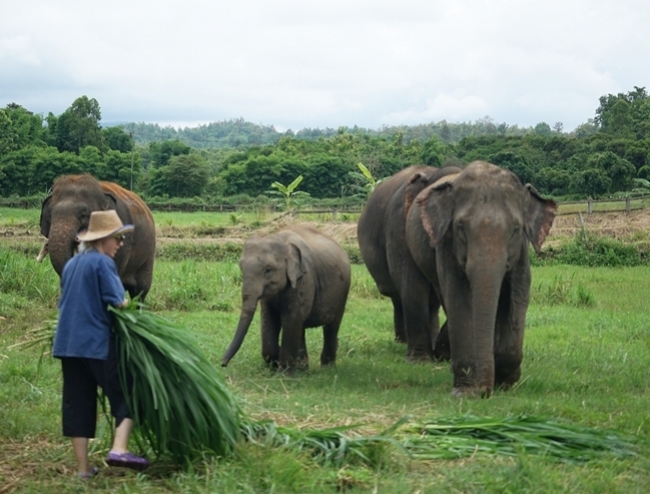 - Walk the Elephants around the vast property of the sanctuary. 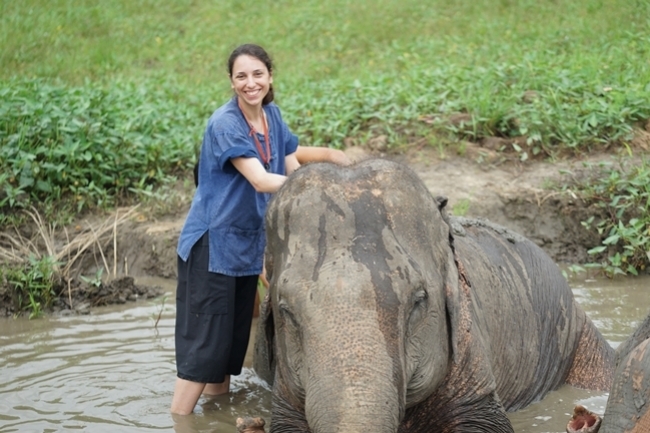 - Enjoy observing the Elephant mud spa that keep their body temperature down and protects them from parasites. - Wash and Bathe with them. 12.00 : Have lunch with Thai home made food and season fruit at our restaurant. - Feed elephant again before saying Good- Bye..!! 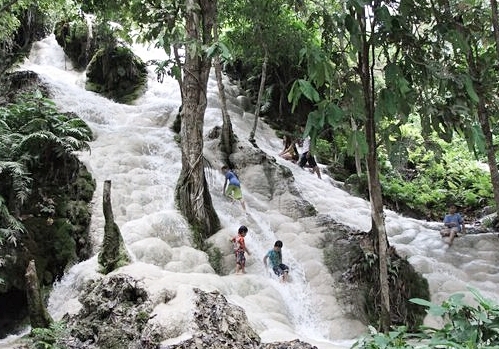 13.30 : Hiking at Bua Tong Sticky Waterfalls ( Limestone waterfall ) these waterfalls are not only impressive and gorgeous, but a special feature allows you to climb directly up the rocks into the oncoming cascading water. 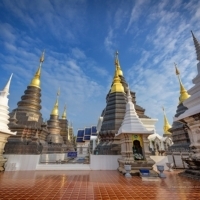 15.00 : Visit Grand Local Temple called Wat Ban Den, to see beautiful Buddhist's architecture and philosophy. 17.00 : Arrived at your hotel and end of the wonderful day tour..
* if you are solo traveler, please contact for your good price.! - Pick up - drop off from your hotel in City. - Delicious lunch ( Thai home made vegetarian food ) and seasonal fruit. - Provided uniform at sanctuary. - Big bamboo hat & Boots. - Banana/ food for feeding elephants. - All tickets mentioned in program, exept ticker for Tiger Kingdom. 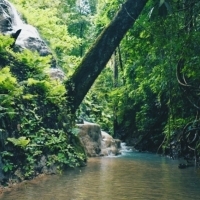 - Good services from our guide/driver. - First Class accident insurance ( Cover 1,000,000 baht ). - Gratuity(tip) for a guide/driver. however, it is deeply appreciated. - Camera, sport shoes for hiking, hat, sun lotion. - Towel, swimming suit & A change of clothes. 2. 9 years old up : consider to adult price .